Court records show Miles was arrested for Human Trafficking and the bond was set at $200,000. Miles is already a convicted felon. 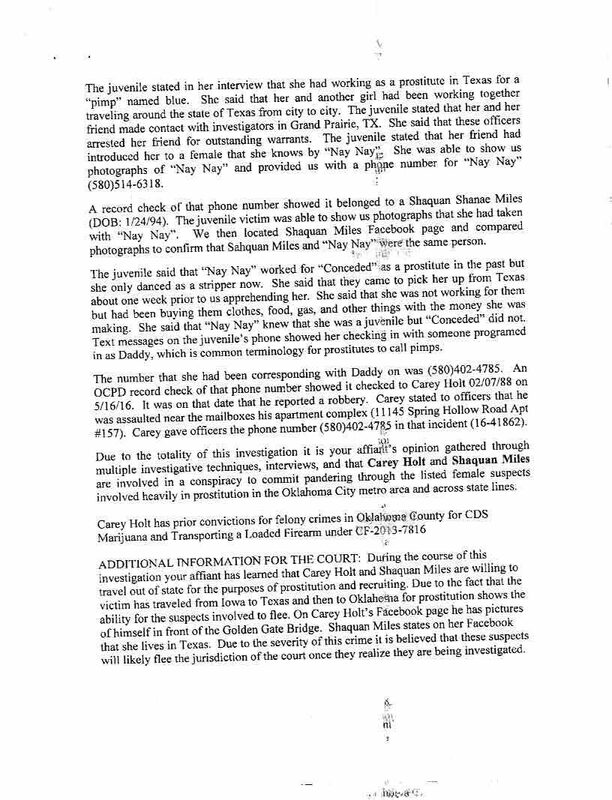 Texas DOC records show a charge of aggravated assault with a deadly weapon on April 17, 2012. 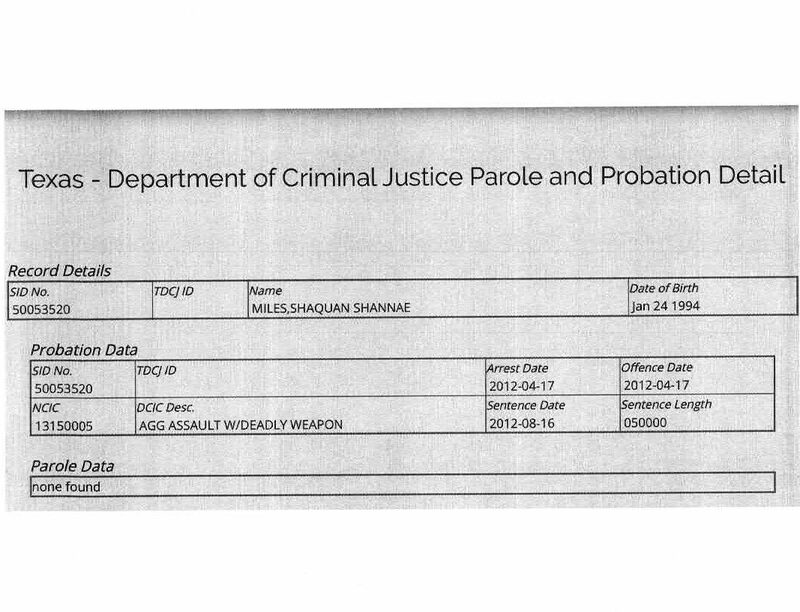 She was sentenced on August 16, 2012. 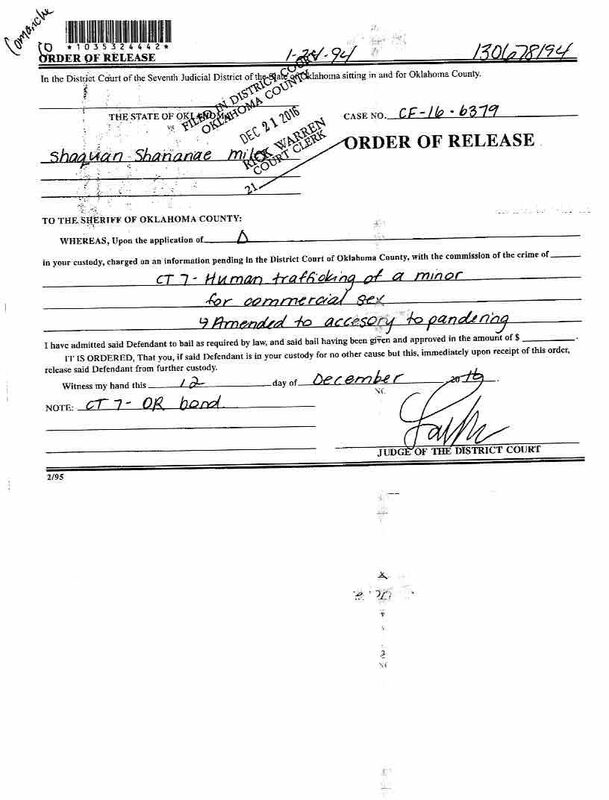 After numerous court appearances the charge was reduced to accessory to pandering by the Oklahoma County DA office, by Oklahoma law on human trafficking probably not eligible for an OR yet was released on OR signed by Special Judge Larry Shaw on December 12, 2016. 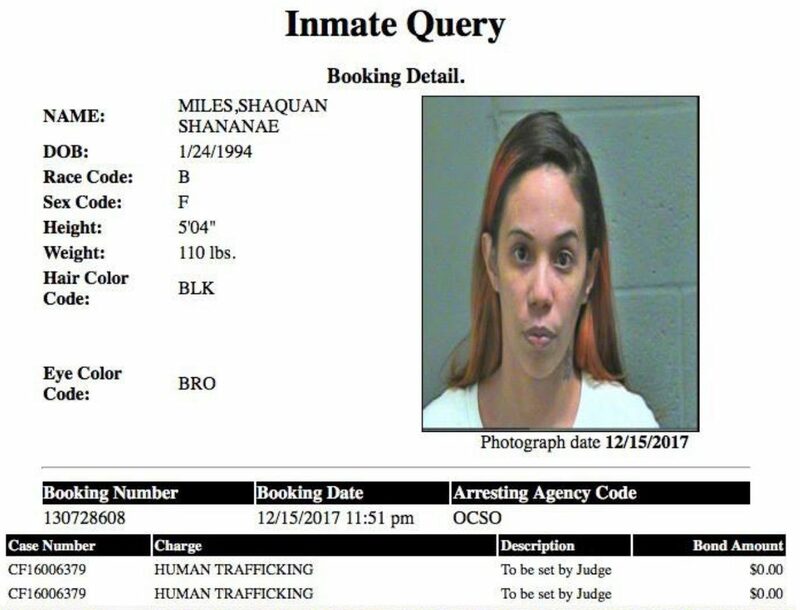 Miles did not even make one appearance in court after the release failing to appear on January 18, 2017 and not seen in court again until arraigned on December 20, 2017. 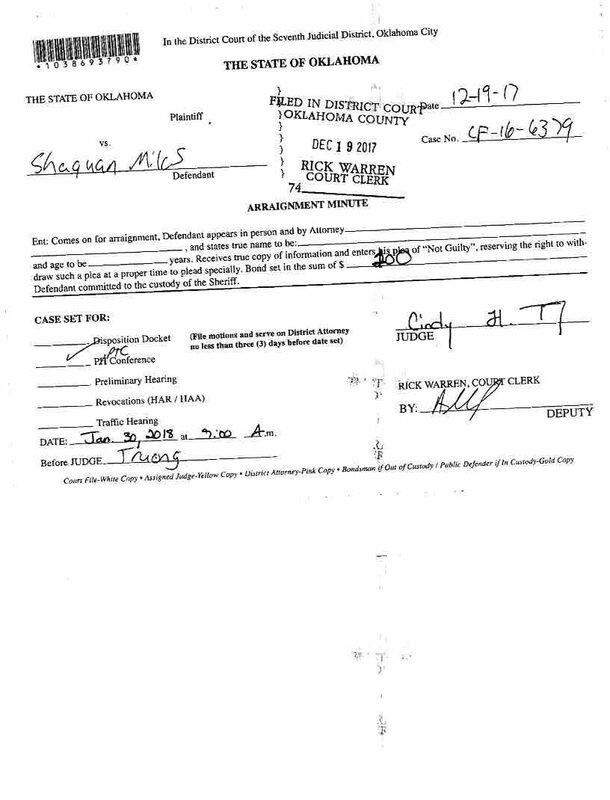 Judge Troung released her this time with another pinky promise to appear and a steep cash bond of $100. Miles is due back in court and we will be watching.